Scrap Paper Scissors etc. : Little Red Wagon #227 - Punch It Up! and as it's my turn to host this weeks challenge, I thought I would choose an easy one! Since Christmas, I've been using my Silhouette Cameo quite a lot on most of my creations, which means some of my older and favourite 'go to' tools have been neglected. For this reason, I thought it would be fun to get back to my roots and use one of the staples I would previously never have created anything without......punches! I decided to choose one of my faves and run with it. I think this butterfly punch from Martha Stewart was one of the first I ever bought, and it's certainly earned it's keep! The picture frame was sketched and cut using my Silhouette - I still had to get my fix in there somewhere! I'm sure you all have a fair few punches hiding in your stash, so why not enter this weeks challenge and let's see them put to work! Don't forget to link up your creations over on the blog, and why not check out the inspiring projects from the rest of the Girlfriends too? 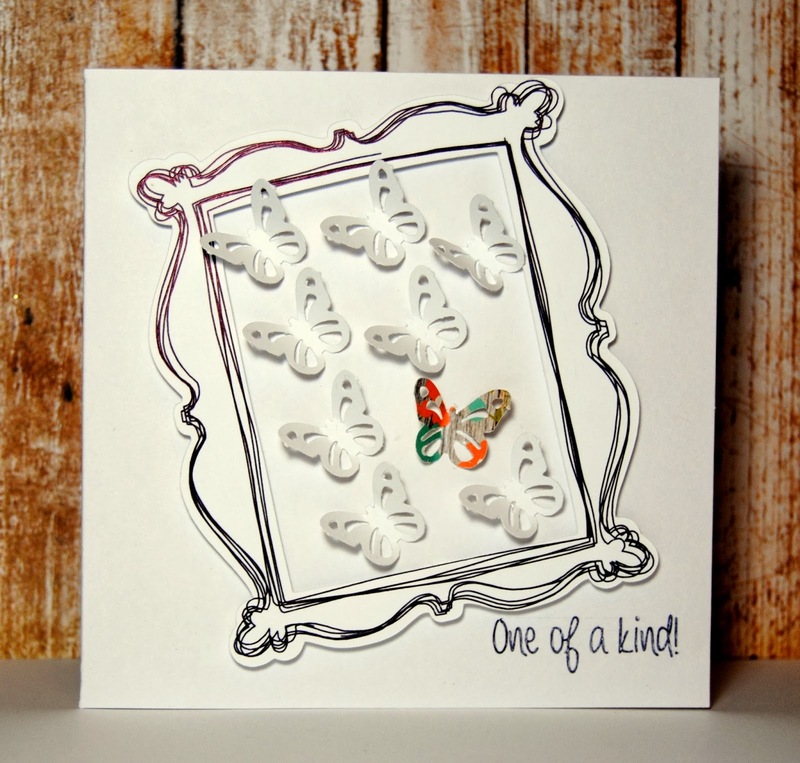 LOVE the frame on your lovely card. I thought it might be a stamp...darn it! Cool concept, Jayne! I love that sketched frame. LOVE the sketching around the frame! Thanks for the great challenge this week! So beautiful. 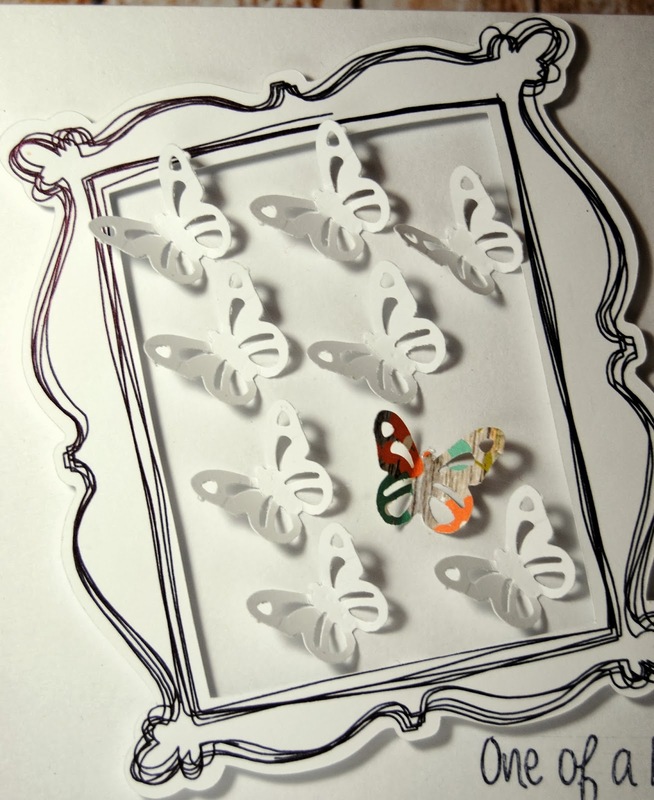 Love the frame, butterflies and that simple pop of colour. I really love seeing all of your wonderful Silhouette touches. Loving the butterflies!! So pretty!! Wow Jayne! Your card is amazing and the frame is I was speechless there for a while! Love it!! !